Perrysburg, OH (Mar. 11, 2019) - Owens-Illinois, Inc. (OI) is announcing a significant investment in its European glass operation supported by long-term customer agreements. This investment will enable O-I to grow in premium segments, increase capability and flexibility, as well as improve the company`s environmental footprint. 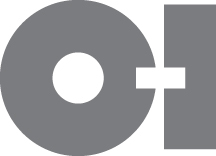 O-I will invest more than $60 million to expand its plant in Gironcourt, France. Plans include building a new furnace for a total of three furnaces at the plant when the expansion project is completed in early 2020. The expansion at Gironcourt will focus on the growing premium beer segment which is highly differentiated and uses unique bottle shapes to build strong, premium brand equity. "Our customers recognize that glass brings unique brand building capabilities. It delivers what consumers want - premium, healthy and sustainable packaging," said Andres Lopez, CEO, "The expansion at Gironcourt is an important part of O-I`s investment strategy to support the growing demand for glass in premium segments." This expansion supporting organic growth follows the recent transaction to acquire nearly 50 percent interest in Empresas Comegua S.A., the leading manufacturer of glass containers for the Central American and Caribbean markets. This inorganic growth investment connects the Company`s footprint across the Americas - extending from Canada to Argentina. At Owens-Illinois, Inc. (OI), we love glass and we`re proud to make more of it than any other glass bottle or jar producer in the world. We love that it`s beautiful, pure and completely recyclable. With global headquarters in Perrysburg, Ohio, we are the preferred partner for many of the world`s leading food and beverage brands. Working hand and hand with our customers, we give our passion and expertise to make their bottles iconic and help build their brands around the world. With more than 26,500 people at 77 plants in 23 countries, O-I has a global impact, achieving revenues of $6.9 billion in 2018. For more information, visit o-i.com. This press release contains "forward-looking" statements within the meaning of Section 21E of the Securities Exchange Act of 1934, as amended (the "Exchange Act") and Section 27A of the Securities Act of 1933. Forward-looking statements reflect the Company`s current expectations and projections about future events at the time, and thus involve uncertainty and risk. The words "believe," "expect," "anticipate," "will," "could," "would," "should," "may," "plan," "estimate," "intend," "predict," "potential," "continue," and the negatives of these words and other similar expressions generally identify forward-looking statements. It is possible the Company`s future financial performance may differ from expectations due to a variety of factors including, but not limited to the following: (1) foreign currency fluctuations relative to the U.S. dollar, (2) changes in capital availability or cost, including interest rate fluctuations and the ability of the Company to refinance debt at favorable terms, (3) the general political, economic and competitive conditions in markets and countries where the Company has operations, including uncertainties related to economic and social conditions, disruptions in the supply chain, competitive pricing pressures, inflation or deflation, and changes in tax rates and laws, (4) the Company`s ability to generate sufficient future cash flows to ensure the Company`s goodwill is not impaired, (5) consumer preferences for alternative forms of packaging, (6) cost and availability of raw materials, labor, energy and transportation, (7) the Company`s ability to manage its cost structure, including its success in implementing restructuring plans and achieving cost savings, (8) consolidation among competitors and customers, (9) the Company`s ability to acquire businesses and expand plants, integrate operations of acquired businesses and achieve expected synergies, (10) unanticipated expenditures with respect to environmental, safety and health laws, (11) unanticipated operational disruptions, including higher capital spending, (12) the Company`s ability to further develop its sales, marketing and product development capabilities, (13) the failure of the Company`s joint venture partners to meet their obligations or commit additional capital to joint ventures, (14) the Company`s ability to prevent and detect cybersecurity threats against its information technology systems and comply with data privacy regulations, (15) the Company`s ability to accurately estimate its total asbestos-related liability or to control the timing and occurrence of events related to outstanding asbestos-related claims, including but not limited to settlements of those claims, (16) changes in U.S. trade policies, (17) the Company`s ability to achieve its strategic plan, and the other risk factors discussed in the Annual Report on Form 10-K for the year ended December 31, 2018 and any subsequently filed Annual Report on Form 10-K, Quarterly Report on Form 10-Q or the Company`s other filings with the Securities and Exchange Commission. It is not possible to foresee or identify all such factors. Any forward-looking statements in this document are based on certain assumptions and analyses made by the Company in light of its experience and perception of historical trends, current conditions, expected future developments, and other factors it believes are appropriate in the circumstances. Forward-looking statements are not a guarantee of future performance and actual results or developments may differ materially from expectations. While the Company continually reviews trends and uncertainties affecting the Company`s results of operations and financial condition, the Company does not assume any obligation to update or supplement any particular forward-looking statements contained in this press release.